Nutmeg Chrome is recognized as a leader in the metal finishing industry. Well known for expertise in polishing and plating molds used in the plastic industry, as well as for our innovative thinking in researching and implementing new plating processes and procedures. High quality, up-to-date technology and reliability stand behind every piece of work at Nutmeg Chrome. 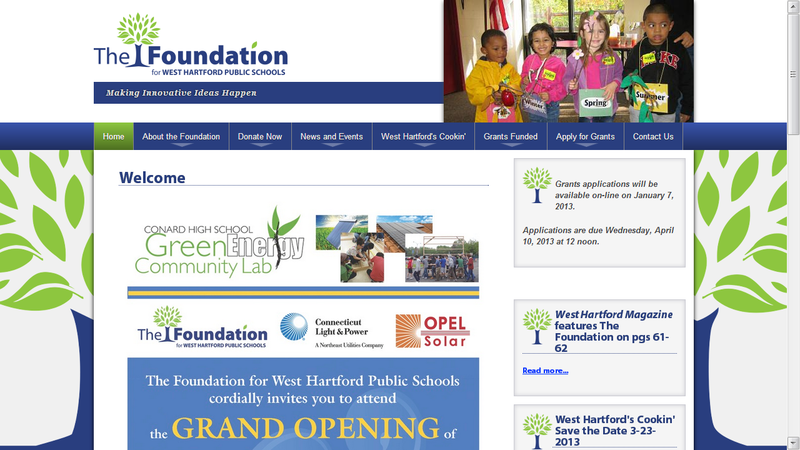 Supporting educational projects, programs, and initiatives that enhance and enliven the classroom experience for all West Hartford Public School students. The Foundation for West Hartford Public Schools (FWHPS) has invested over $1 Million dollars since the inception of the Foundation 15 years ago! Saint Helena parish was created on September 13, 1966, by Archbishop Henry J. O'Brien, with Father Joseph G. Murphy appointed first pastor. On September 14, 1969 St. Helena church was dedicated by Archbishop John. F. Whealon. On September 9, 1971, a parish nursery school began. 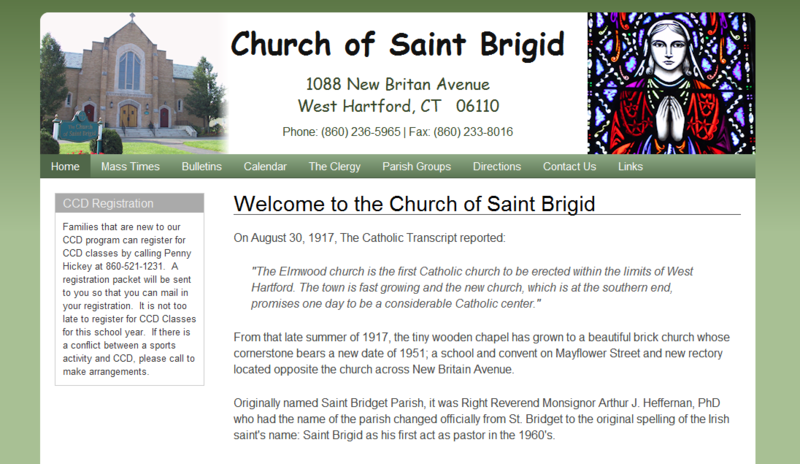 Saint Brigid's Church was founded in 1917 as the first Catholic church in West Hartford. The wooden church no longer stands; the brick building which is our current worship home replaced it in 1951. From its beginning St. Brigid's welcomed worshippers from four different parishes to make up its own. Today it still welcomes parishioners from all over West Hartford and beyond to the warm interior and friendly Masses. West Hartford Health & Rehabilitation Center is a privately owned 160 bed skilled nursing facility located in a residential area within walking distance of West Hartford Center. West Hartford's sub-acute rehabilitation unit is staffed by their own team of physical, occupational and speech therapists. Providing specialized Alzheimer's/Dementia care in a secured neighborhood, IV therapy, and advanced wound care. West Hartford's team of doctors, therapists, nursing and support staff work together to enable the nursing home resident to achieve and maintain their highest level of function. 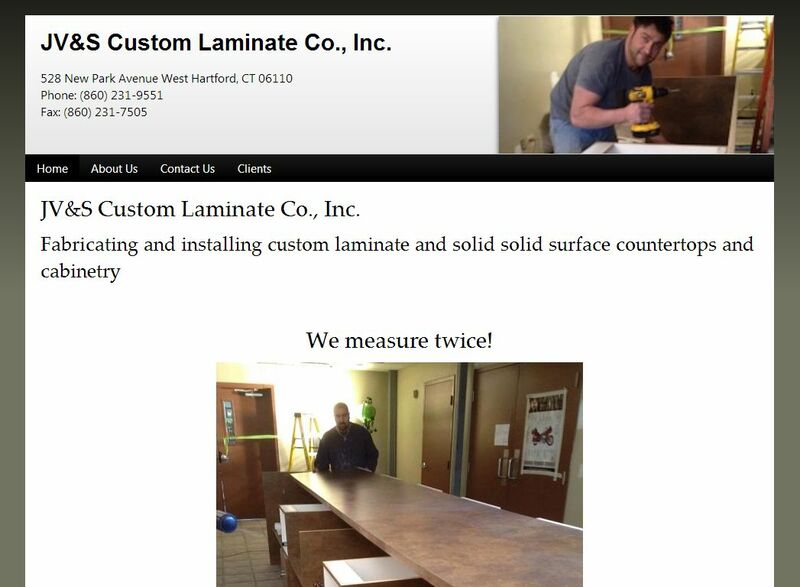 JV&S Custom Laminate Co., Inc. Fabricating and installing custom laminate and solid solid surface countertops and cabinetry. 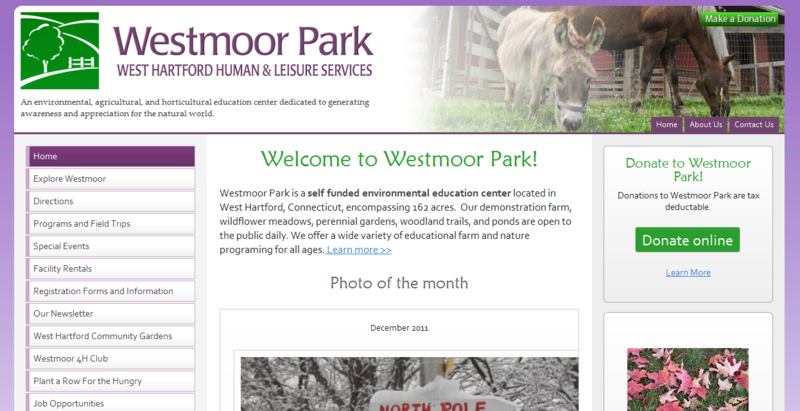 Westmoor Park is a self funded environmental education center operated by the Leisure Services Department of the Town of West Hartford, encompassing 162 acres. Westmoor Park's demonstration farm, wildflower meadows, perennial gardens, woodland trails, and ponds are open to the public daily. Westmoor Park also offers a wide variety of educational farm and nature programing for people of all ages.